New London, Connecticut, (population 27,654) is a port city in southern Connecticut located at the convergence of the Thames River and Long Island Sound. Founded in 1646 by John Winthrop, Jr., New London grew into one of the nation’s most active ports. New London’s economy grew due to increased demand for West Indies sugar, molasses, rum, and, later, whale oil. 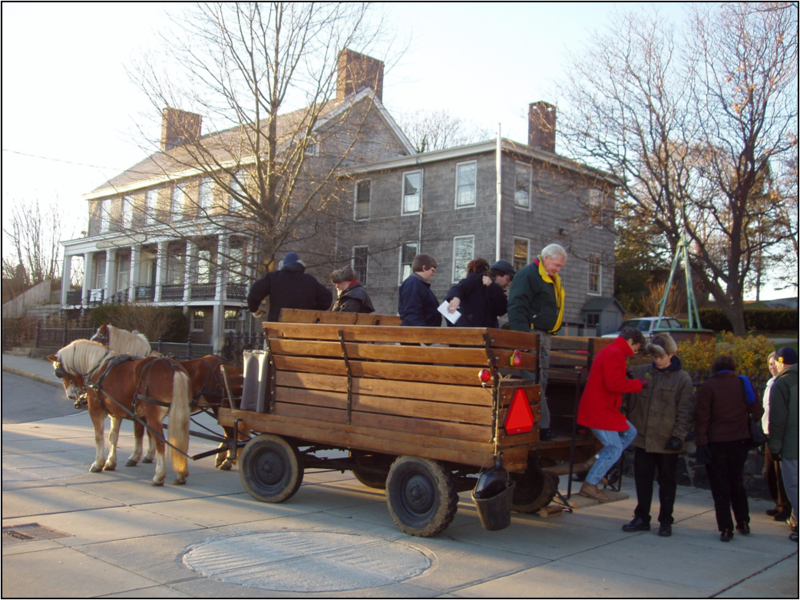 Throughout colonial times, New London was a transportation hub between New York and the Northeast. By the 1870s, New London had become a seasonal resort and yachting center. The Coast Guard moved to the area in 1910, and the Navy ported its first submarine across the river in Groton in 1915. With more than 350 years of recorded history and 24 properties listed on the National Register of Historic Properties, New London takes its rich heritage and cultural responsibility seriously. It has buildings dating as far back as the 17th century. Several historic downtown buildings have been revitalized and are home to artists, musicians, and playwrights. A great example of preservation of a downtown property is the Hygienic Building, which was built in 1844 as a ship’s provision store. In 1996 the building, which had been previously bought by developers, was slated for demolition to become a bank parking lot. Hygienic Art, Inc. led a statewide grassroots effort to save the building. Through private and public donations, Hygienic Art bought, renovated, and repurposed this historic landmark as a residential artists’ co-op and public art galleries. Hygienic Art also purchased two lots on Bank Street, one of which is planned to become a public sculpture park and community arts venue. The renovation of the building and lots on Bank Street continues to spark other revitalization efforts. Community-based organization New London Landmarks has helped to protect H.H. Richardson’s 1888 Union Station, which has survived demolition plans. The New London Main Street organization has helped preserve and enhance the historic waterfront district with the help of many volunteers. In the works is the redesign and revitalization of historic Parade Plaza. The plaza, once the city’s economic center linking businesses to the waterfront, was also used as a gathering place. Final design has been completed and construction and development started. Through the city’s Historic District Commission, the New London Design Review Board, and several community-based organizations, the city has made historic preservation a priority. These organizations provide technical assistance to city staff, act as an advisory panel on projects involving historic structures, and organize forums concerning changes to, or demolitions of, historic structures.